Middleton Estates have opened a branch in Hove! We have officially launched our new Hove office, and we are so excited to have the opportunity to further expand the business in the much sought after East Sussex region. The team has been busy getting everything ready for the new branch opening for a number of months and we are pleased to be operating in a such a superb location. 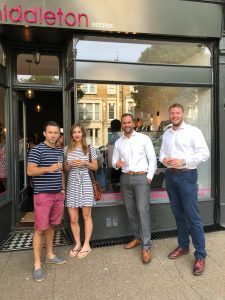 The new office is situated near to Hove station making it really easy for clients to drop in and see us, and it’s a prime location for enjoying everything that Hove and Brighton has to offer when it comes to eating, drinking and shopping in the local area. Within the first month, Ben Budgen has already hit the ground running as branch manager and is more than ready to make our new office a huge success despite the abundance of estate agents already in the area. The focus for Hove will be to deliver exceptional customer service, clear, transparent advice and provide customers with a local estate agent they can trust with their property matter. We are keen that our Hove branch continues to build and maintain our fantastic reputation which we have all worked so hard to achieve. 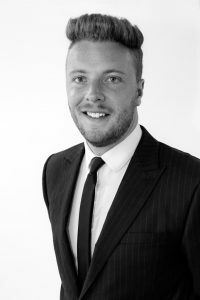 Ben has a wealth of industry knowledge and has previously worked in Hove, so has an in-depth understanding of what the local area has to offer. Ben’s career started in corporate estate agency and he quickly worked his way up the ranks to management level. Ben and the team will be working hard to ensure that they meet your expectations and they are keen to demonstrate the fact that we will always go the extra mile to help our clients. Ben’s new role is supported by the tenacious Zoe Marchant. 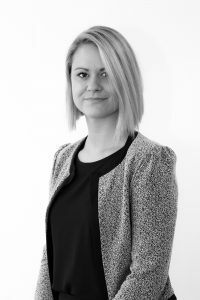 Zoe is keen to make a difference in the local area and wants our clients to feel confident about buying, selling, letting or renting with us. Zoe has been working hard to ensure the new branch is operating as effectively and efficiently as our Shoreham and Steyning branch so that the brand ethics are consistent across all three branches. Zoe wants to keep building trust by delivering clear and transparent communication and delivering exceptional customer service. We can provide a FREE market appraisal of your property, as well as invaluable advice and guidance regarding mortgages, the conveyancing process and what you can expect to find in the local area. We also offer a FREE Home Search service, which means we can target specific roads and property types based on your search and sales criteria, and will actively leaflet drop on your behalf.